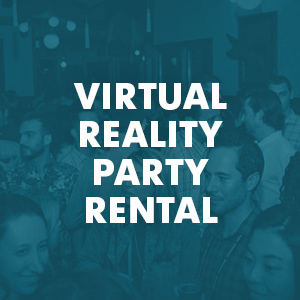 Nashville's #1 Virtual Reality Rental Co.
Want to bring VR to your next Nashville event? We will make it easy & ensure your guests have a blast. We've worked with the likes of Twitter, GE, & Macy's. 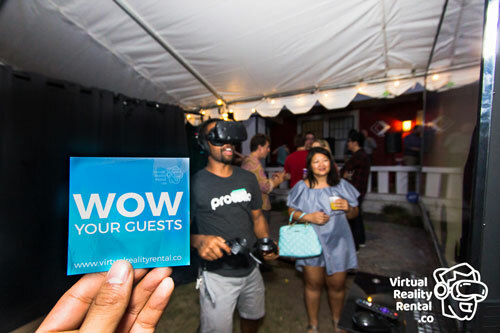 Easily book virtual reality for your next event in Nashville, TN. We have the best equipment, customer service, and virtual reality experiences. Do you want to wow your guests? Do you want them to talk about how awesome your event was the next day, week, or month? If you answered yes, then you're going to need to offer your guests something new, creative, interesting, and fun. That's where virtual reality (VR) comes in. Virtual reality (VR) is the hottest new technology and it delivers a new, fun, relevant, and interesting experience to all types of events. 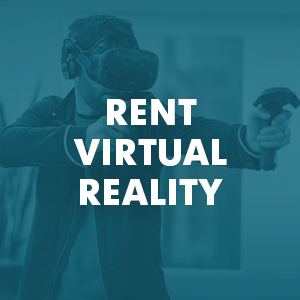 If you're not sure how renting virtual reality (VR) for your next Nashville event would work or you want to talk specifics contact us and we will be happy to help. Nashville, Tennessee, is considered by many to be the country music capitol of the world. Known as the Music City, Nashville is home to the Country Music Hall of Fame and Museum in downtown Nashville. The Country Music Hall of Fame is one of the world's biggest museums dedicated to the preservation of country music. The Parthenon in Nashville is a full-scale replica of the original Parthenon found in Athens, Greece. Built as a part of the Tennessee Centennial Exposition in 1897, the structure now functions as an art museum and stands as the key structure at the center of Centennial Park, a large green area near downtown Nashville that features a bandshell for outdoor entertainment. When it comes to sports, Nashville has a variety of both collegiate and professional sport teams. The Vanderbilt University Commodores fields teams in football and baseball, as well as in both men's and women's basketball. Meanwhile, the NFL’s Tennessee Titans play at Nissan Stadium and the NHL’s Nashville Predators play at Bridgestone Arena. As an event manager, you have to work hard to compete with the many area Nashville attractions. But there is an easy solution: Using Virtual Reality (VR) technology to spice up what you have to offer. Trust our professionals to work with you to make your next event stand above the rest. 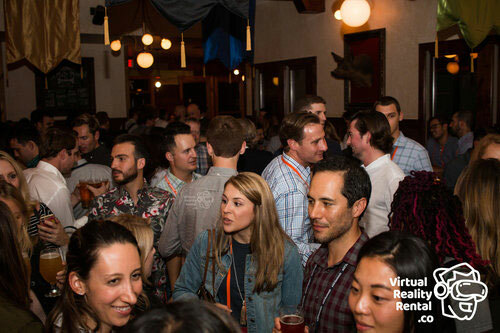 Using only the highest-quality VR equipment, VirtualRealityRental.co can ensure that your event guests have a fun, unique, and memorable experience. So contact us today for more information. "Yes I was at a corporate event in Nashville but would you believe if I told you I soaked in the city’s essence in just 5 minutes? That’s the magic of VR." 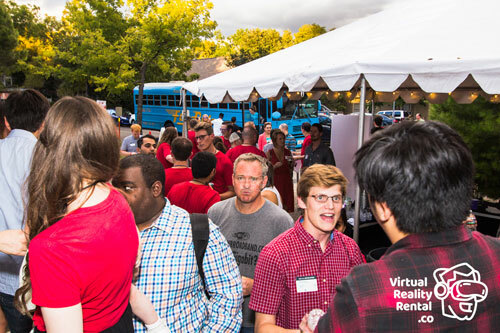 "I was dreading attending a dull event in fun town like the Music City, but it turned out to be great fun with VR. Kudos to the organizers for giving us something new." "If businesses make VR a norm instead of photo booths, they will not have to invite attendees. People will come flocking, trust me." 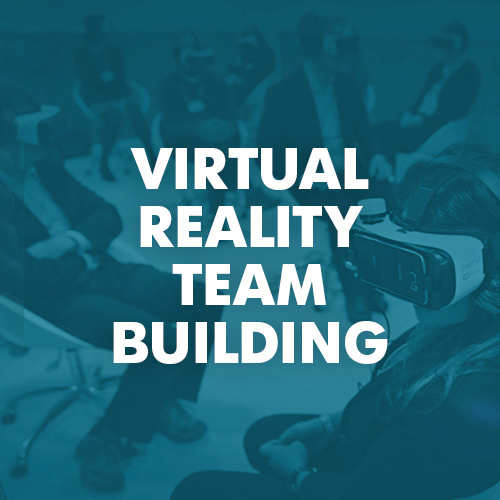 "I am huge fan of business events but the VR experience I had at the Music City Center last week has made me want to attend the next one." 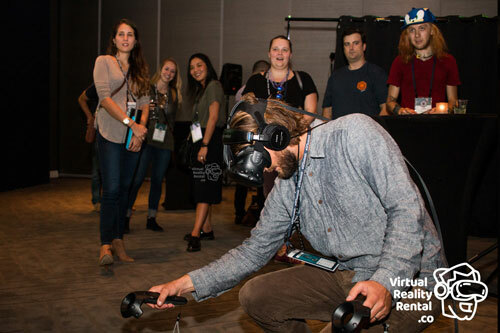 "After attending an amazing event in Nashville that introduced me to the world of Virtual Reality I can say that business events don’t have to be boring. Organizers…are you listening?" "For the first time in all these years, I attended a corporate event that I didn’t want to leave. I put my mobile on silent and soared high like a free bird over the Music City with Virtual Reality." Have an outdoor event on your hands? No problem! 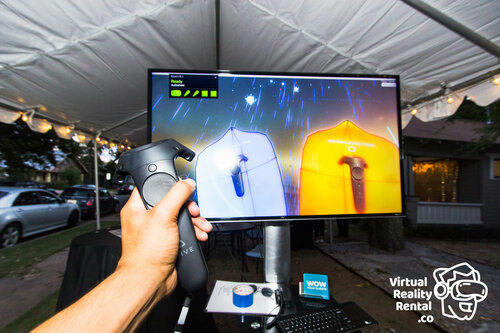 Our team members can help walk you through everything you need to know about executing a VR activation under a outdoors.